This is one of those recipes that is naturally keto friendly! It is a high protein meal with the chicken and cheese, and also a great way to encourage vegetables! Please note… The Franks Buffalo Sauce was not in the calculator (although I will ask for it to be added). There is essentially no nutritional value to it, and the amount used is very small so I felt ok adding this to the meal without calculating it in. Please ask your dietitian to add it for a more precise meal calculation. Mix together the chicken, cream cheese, mayonnaise and blue cheese. Season with salt and pepper. Put the mixture into an oven safe dish and bake at 350 degrees for about 20 minutes or until the edges turn golden brown. 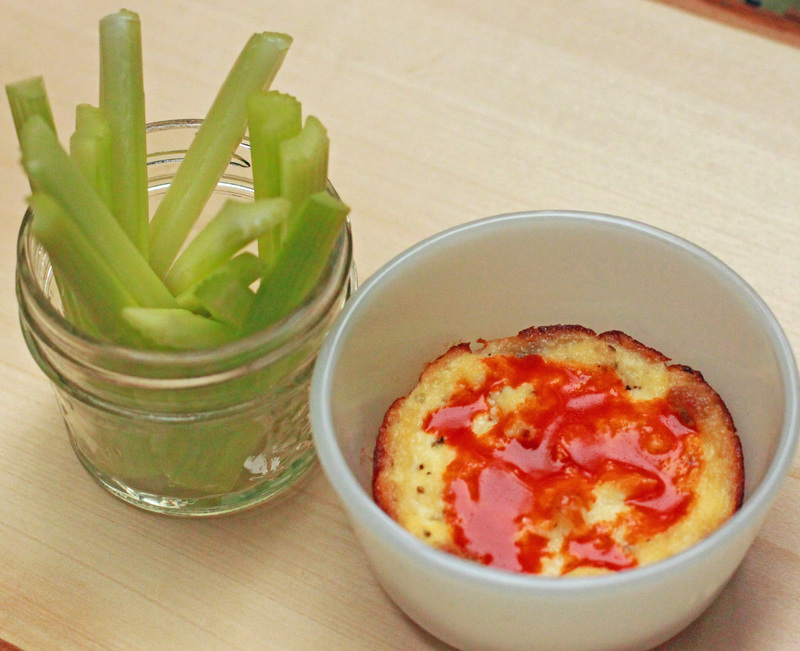 Top with 1-2 grams of the hot sauce and serve with the celery sticks. The dip is best served at room temperature. You do not have to bake the dip, since the chicken is already cooked, you could serve it as is! The dip portion is freezer friendly. I used celery because it is the classic combination and because so much can be calculated into the recipe but carrot sticks, bell peppers, cucumbers, jicama, broccoli or cauliflower would all be delicious. Increase the mayonnaise to increase the ratio. If you eliminate the hot sauce and blue cheese, you have a very mild, but still very tasty chicken dip.